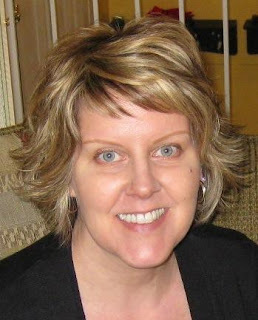 Change the Word: I'm pleased to welcome women's fiction author Kathleen Kole to the blog, today, as part of her Chick Lit Plus blog tour. Let's get the interview started, shall we? What was the biggest challenge you faced writing this book? How'd you overcome it? Kathleen Kole: I think my biggest challenge, and I tend to have it with all of my books, is sitting for hours and hours on end. I am not a natural sitter, so I often drag myself from my office lamenting about how this writing life is going be the demise of my back, neck, joints etc. etc. CTW: What's one trait you share with your main character? KK: That’s a tough one! My characters are so themselves that I don’t see myself in them. However, if I was to look at it, I’d say from time to time I share Claire’s trait of feeling: If I don’t do it, it won’t get done and the proverbial “house of cards” will fall. It’s a funny trait and I know I’m not the only mother/wife/woman who feels that way. It’s the woman’s condition! haha! CTW: Now, let's talk laundry... Do you separate your lights from darks? Or do you have some other elaborate method? KK: Ha! This made me giggle. Yes, I definitely separate lights, darks and colors. Elaborate method, you ask? Possibly. I have three baskets, one for darks, one for lights and one for colors. Don’t know if it’s elaborate, (I’ll let you be the judge) but I do know it makes laundry time a whole lot faster. CTW: I had a feeling you'd have some fancy method! Any special tricks for getting nasty grass/mud/wine stains out of clothes? KK: Hmm... grass and mud are a part of my past (thank goodness). And wine? Well, if it’s spilled, heads roll! CTW: Liquid or sheet fabric softener? Why? CTW: Do you ever line dry or is it all modern appliances? KK: Eeep, line drying is not for this gal! I have a front loader washer and dryer and that’s the way I want it to stay. KK: Haha! While, admittedly, the clothes do often get re-fluffed in the dryer (this girl doesn’t iron) when they are finally retrieved, they are folded and put away immediately. No lounging sock or shirts in this house. 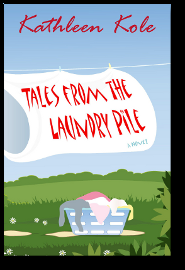 CTW: What's one fun tale from your own laundry pile? CTW: I love it, I love it, I love it. Now, back to writing... What's up next in the world of Kathleen Kole? KK: I just finished the dirty draft of my next novel and will probably be sunk into the second go-around by the time you post this on your blog. I won’t give anything away quite yet, except to say that it’s a great story with new characters to meet in Boxwood Hills and it has a bit of everything - some laughter, some tears, some drama and some romance. Be sure to check out my review of Kathleen's fab book. Kathleen Kole is the author of Breaking Even, Dollars to Donuts, Favorable Conditions and her new release, Tales from the Laundry Pile. Kathleen lives with her husband, son and dog in the beautiful Okanagan Valley in British Columbia, Canada.